Our qualified teachers work closely with our preschool children and their key workers to ensure that children make good progress within all aspects of their development in readiness for school. 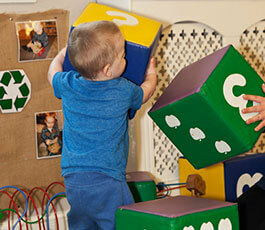 Our nurseries provide an extensive range of resources to encourage children to learn through play. We favour naturalistic resources and make fantastic use of our outdoor equipment, prompting free-flow and child-led learning. 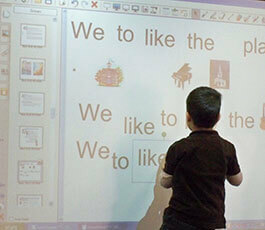 Our Interactive Smart Boards offer exciting and stimulating learning experiences tailored to challenge and engage little ones. 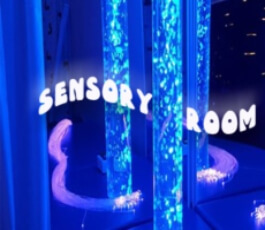 Sensory rooms are calm and tranquil spaces that support children's sensory stimulation through the resources and experiences provided. Sensory stimulation - touch, taste, smell, sight and sound - is vital for young children's brain development. For deaf children, sign language lessons helps them to feel included, settled and eases communication with other children and adults. 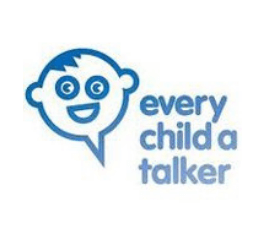 However, the skill of signing from an early age benefits all children as it can ease frustration for children who are not yet talking, support social interaction and communication, as well as develop fine motor skills that support writing later on. We are lucky to have bi-lingual staff who are able to support children in their first language, or in exploring new languages. This not only helps children settle well into nursery, but also provides opportunities to better understand and celebrate children's cultures and heritage. 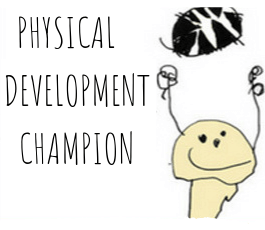 Our Physical Development Stars programme ensures that our children are moving for a minimum of 3 hours per day and are using and developing all parts of their body. Children will enjoy focused group activities such as yoga, dance and games. 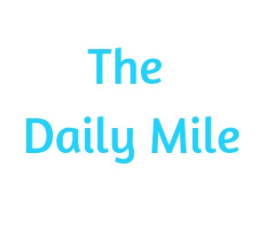 Daily Mile is physical activity and health and well-being in a social, outdoors context. It is not active play, physical education or outdoor learning, although participating in The Daily Mile can encourage curiosity and interest in outdoor environments in keeping with wider outdoor learning opportunities. The main goal is to increase daily activity. BLAST is Boosting Language Auditory Skills and Talking. 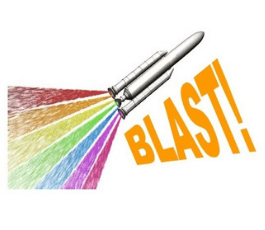 BLAST works on the underpinning skills for language, communication and literacy – turn taking, discrimination, listening, attention and social communication as well as developing basic language skills both receptively and expressively. The programme is positive and fun and our kids LOVE it!